When I noticed the latest Company of Heroes expansion pack had a little tick next to the co-op check box, my heart skipped a beat. Being a huge fan of the original title, I immediately dug for information on the co-op. While I had high hopes we'd have a full fledged co-op campaign, especially considering Relic's other co-op RTS outing. Alas that was not the case. Instead what we have is a single mission that can be played by up to four people called Operation Stonewall. Now before you go grabbing the pitch forks, I urge you to give the game mode a chance. 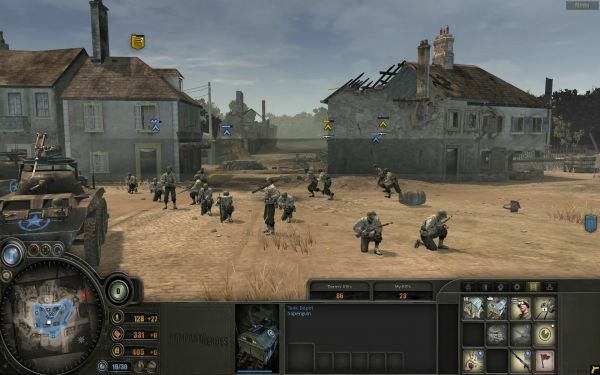 It plays out a bit like a survival mode in popular first person shooters like Gears of War or Left 4 Dead, but there's a unique twist - the ability to upgrade and build units. As you take out enemies you'll earn resources which can be used to unlock these units and build stronger defenses. It immediately becomes apparent that team work and communication are crucial. As cool as the flame units look, you are going to hate them. With four roads in and out of the map, everything is suited well for four player co-op. But if you are only able to find two friends, the game does a decent job of scaling the amount of enemies. Certain buildings in the town will give you bonuses; the garage a vehicle bonus, the church a healing bonus, the manor a unit cap bonus and the bank a resource bonus. Holding these structures is not only crucial, it's required. If all structures should fall along with your base it's game over. Surviving 16 waves of unruly Nazis is not an easy task, and as we found by wave five or six you are going to be spread pretty thin. Certain units and upgrades are definitely key - Rangers, sticky bombs, and anti-tank guns are crucial for survival. In our seven or eight attempts at the map, we never once completed it. Wave twelve or thirteen was the highest we were able to obtain. By this point we were over run by tanks, storm troopers, and other infantry. Not even one of the commander bonuses like a strafing run or bombing run could save us. Beyond the co-op of course there's a single player campaign. These three different campaigns offer some fresh viewpoints on the war, and a new "direct fire" mode for certain units allows you to point and shoot at your target. I enjoyed using this fire mode with the tank, but I never quite felt in control with a lot of the ground troops. Most Company of Heroes vets will keep this option off. So while I was a bit disappointed that only one co-op mode existed in the game, it was challenging enough and diverse enough that after five or six hours of play I was still enjoying myself. 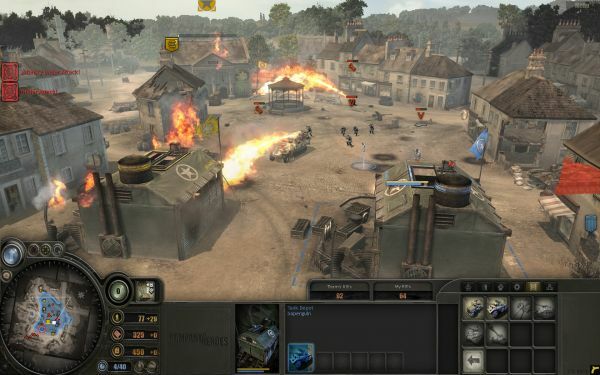 Company of Heroes: Tales of Valor was still offers hours of fun in Operation Stonewall, and the ability to "comp-stomp" in any of the other multiplayer modes. Just don't go in expecting Dawn of War 2, you'll be left disappointed. 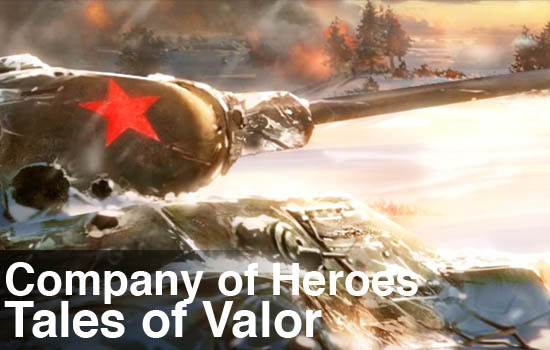 The Co-Op Experience: Operation Stonewall is the lone co-op mode in Tales of Valor. It throws up to four players into a scenario where they defend a town against an all out attack by an overwhelming AI opponent. You'll have to use everything at your disposal to try and hold out. Page created in 1.7016 seconds.